First cultivated in 1731, dogwood trees are among some of the prettiest trees used in landscaping today. Their beautiful white flowers give off a lacy appearance, though some varieties have pink flowers. 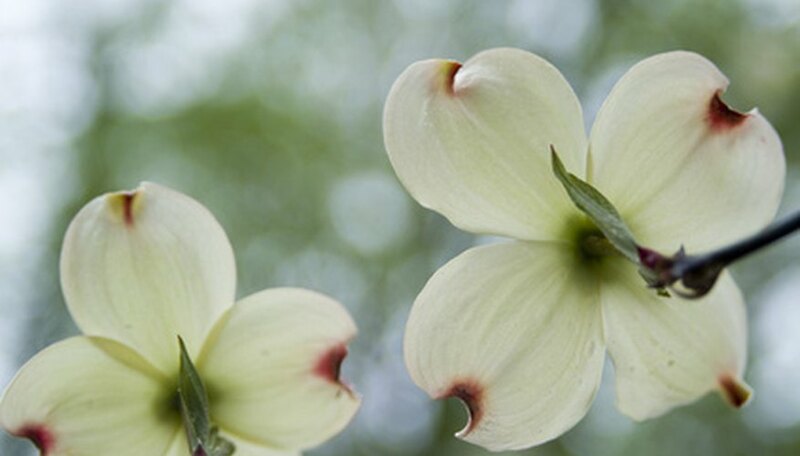 The dogwood is native to several continents including Europe, Asia and North America, where its uses throughout history date to Native Americans and early settlers. The dogwood is also the source of at least two myths; the dates and sources of origin for both are unknown. Founding father Thomas Jefferson was enamored of dogwoods and grew them at his home, Monticello, in Virginia in the late 1770s. This later led to the state naming the flower of the dogwood tree as its state flower in 1918 and its state tree in 1956. In 1941, the dogwood flower also became the state flower of North Carolina. Missouri named the dogwood its state tree in 1955. Native Americans found a wide range of uses for the dogwood tree. The early spring blooms of the dogwood were a signal to them to plant corn. The wood from the dogwood tree was used to make toothbrushes, daggers and arrows. Some tribes, such as the Cheyenne, Apache, Potawatomi and others used the inner bark of the dogwood in a tobacco mixture for the sacred pipe. The density of the wood and the absence of silica, making it less likely to scratch things the wood came in contact with, meant dogwood could be used for specialty items. Tiny splinters could be used for cleaning the smallest holes in watches and dust from deep-seated optical lenses. Among its myriad uses, dogwood was crafted into hay forks, mallets, cogwheels, crochet hooks and knitting needles. T-squares and rulers, forks and spoons and even printing blocks were among its many uses. Indian lore tells of a beautiful Cherokee princess who was courted by a brave. She refused his advances and in a jealous rage, he killed her. The maiden used the blossoms of a dogwood to soak up her blood as she lay dying. This is used to explain the red stains at the tip of each petal or bract. The red-blossomed dogwood is named Cherokee in honor of the legend. Legend has it that the dogwood once grew tall and straight like other trees. The wood from the dogwood was said to have been used to construct the cross Jesus was crucified upon. The dogwood tree was distraught over this particular use and Jesus took pity upon it promising that it would never again be used for crucifixions. Since then, the dogwood tree has grown bent and twisted, unable to reach significant height. The petals of its flowers grew in the shape of the cross, each bearing the reddish mark of a rusty nail. The dogwood, however, has never grown in that part of the world, and the story has roots in the early 20th century.